Designed in London and handwoven in India this Purlin range features Eleanor Pritchard’s trademark graphic patterns inspired by London’s architectural lines and draws its name from a structure found on construction sites across the city. With a colour palette based on warm grey, this Purlin runner beautifully reflects the urban landscape in a clean and contemporary way. 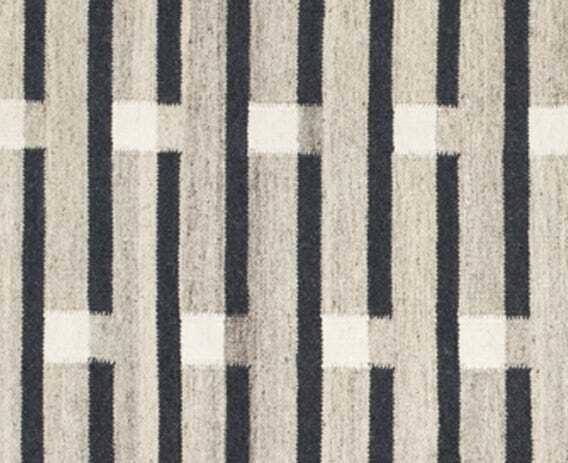 The Purlin range is Eleanor Prichard's first rug collection. 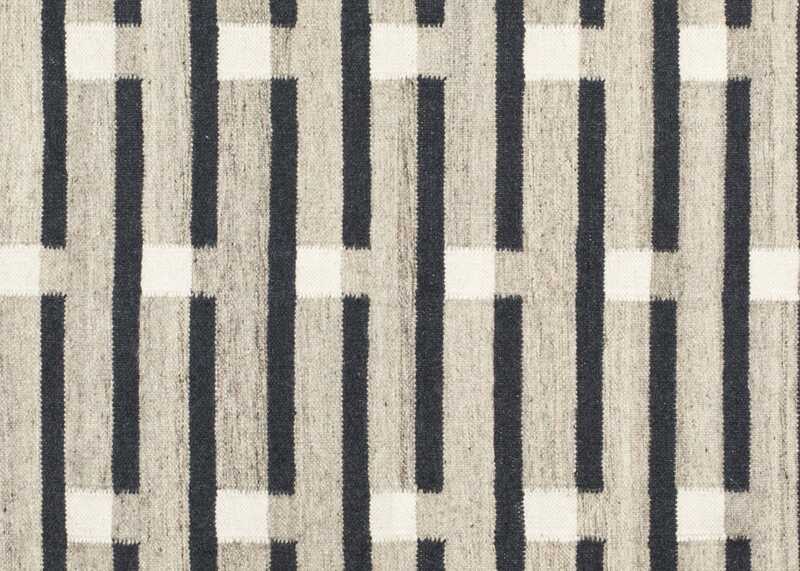 Features a clean linear design of long narrow bars and alternating square blocks which are arranged in a half-drop repeat pattern. 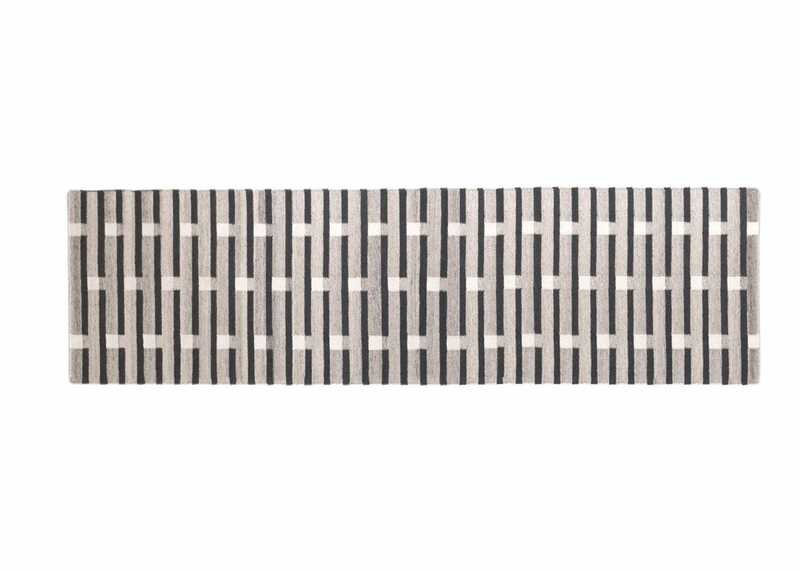 The Purlin collection features a clean linear design of long narrow bars and alternating square blocks which are arranged in a half-drop repeat pattern.